In that Getting Ready for Paris mode, where I will be in September with my merry band of writers, the best part is to revisit my old best friends, books. Since the works on, of, and about the City of Light are vast, the prudent course is to pick a few favorites. 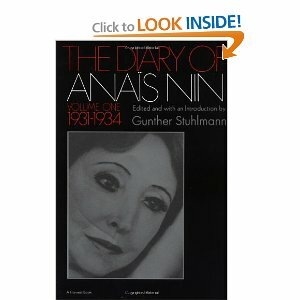 “The Diary of Anais Nin,” Vol. One (1931-1934). In this volume the young writer is living in her luxurious house in Louveciennes with her banker husband Hugo (rarely mentioned), beginning her affair with Henry Miller, his wife June, and several other people. Her writing about the place, time and people is magical and makes up for what some conclude were considerable moral lapses. “Walks in Gertrude Stein’s Paris,” by Mary Ellen Jordan Haight, published in 1988. This is a classic walking tour book, but pretty specific to the 6th arrondissement, which is just where I’ll be hanging out with my literary copines. Not only does it point out the literary and artistic hangouts of this most literary Left Bank ‘hood, but it is full of interesting tidbits. Picture Hemingway pushing a cart through Luxembourg gardens with the belongings of his first wife, Mary Hadley, in it because she is leaving him. He is weeping. “Paris When It’s Naked,” by Marin County poet Etel Adnan, published in 1993. This long prose poem is a love poem, really, to Paris. 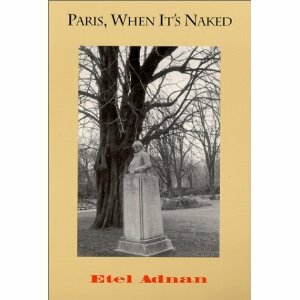 In turn, how can one not love a book that begins with the line: “When it rains in Paris Europe brings out its umbrellas”? 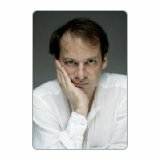 “The Table Comes First: Family, France and the Meaning of Food,” by New Yorker writer Adam Gopnik., 2011. This is a book of essays that rambles in Gopnik’s incomparable prose through history, philosophy and many other topics, including, yes, food, family and France. It’s a delicious ramble. So was his previous book on France, “Paris to the Moon,” which described the arrival and life of his Parisian-born son up to the age of five, and the adventures of being a parent in Paris. “Paris to the Past: Traveling through French History by Train,” by Ina Caro, published 2011. Ina Caro begins her book by saying that she had two love affairs at once: one with her husband Bob, and another with France – a love object they shared. After many years of visiting and staying there, she made the remarkable discovery that one can stay in Paris and travel all through French history by taking the train (or Metro). This well-written and researched book tells how and where. Note: All these books are available on Barnes & Noble’s website, and if you must, Amazon.